We would like to welcome you to the Flamborough Parish Council Website and hope that you will find it very useful and informative. Events - village and local. The new Local Council Award Scheme was introduced in January 2015 and has been designed to celebrate the successes of the very best local councils. We are please to announce that Flamborough Parish Council has been accredited with the Foundation level which means that the council can demonstrate that it has appropriate documentation and information in place for operating lawfully and according to standard practice. The council also has policies for training councillors and officers and is building a foundation for improvement and development. More details of the criteria and how they are assessed can be found on the National Association of Local Councils website. Flamborough village and headland is situated on an easterly coastal point of the East Riding of Yorkshire in England. The headland extends out into the North Sea by four miles and this accounts for its unique characteristics and climate. The beautiful scenery and dramatic chalk cliffs provide a stunning backdrop for its residents which attract a host of visitors and tourists every year. The Lighthouse is a prominent feature. Visible for miles night and day, it has provided a comforting sight for mariners and fishermen past and present, however dangerous rocks and tides have claimed many shipwrecks in the past. East Riding of Yorkshire Council provide tours around the Lighthouse. The village is traditionally a working fishing village and this character is still evident today. The centre of the village boasts a traditional conservation area and the whole area is rich in history. Flamborough provides a haven not only for tourists and holidaymakers but for historians, archaeologists and ornithologists too. 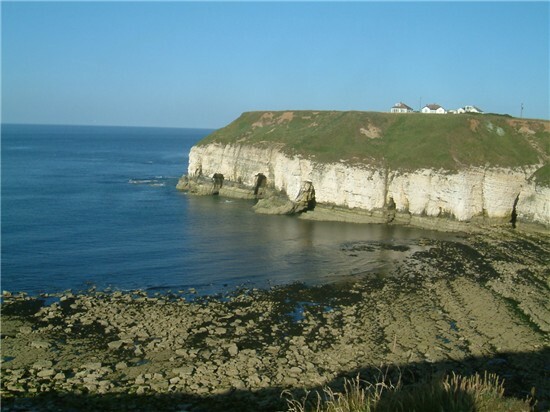 Flamborough Head, a chalk outcrop, was designated a Heritage Coast in 1979. 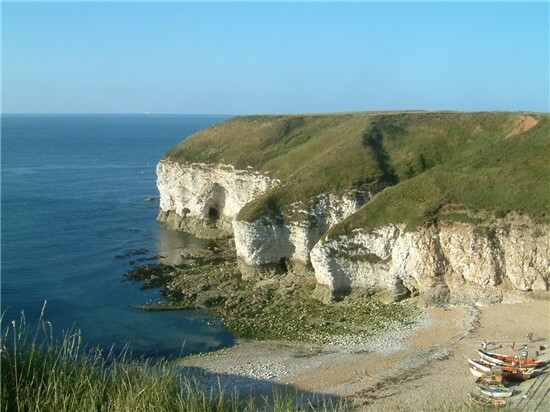 Flamborough is home to Local Nature Reserves at South Landing, Danes Dyke and the Head which were designated as such on 14th May 2002 as places with wildlife or geological features that are of special interest. The designation offers statutory protection and the sites are sensitively managed. 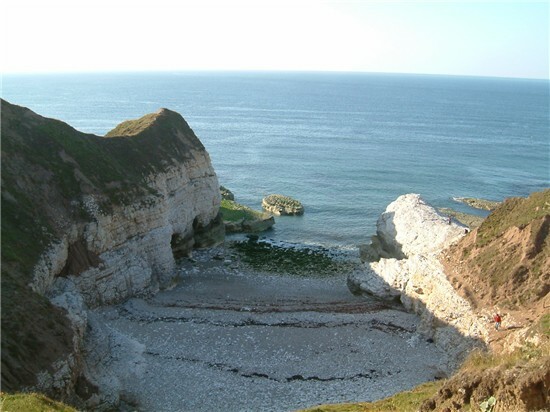 Flamborough's marine and cliff environment is so important it is protected as a Site of Special Scientific Interest and a Marine Special Area of Conservation. Flamborough is a site rich for birdwatchers keen to spot many species and rare birds especially in the spring and summer months and due to its seabird colonies Flamborough is designated a Special Protection Area. 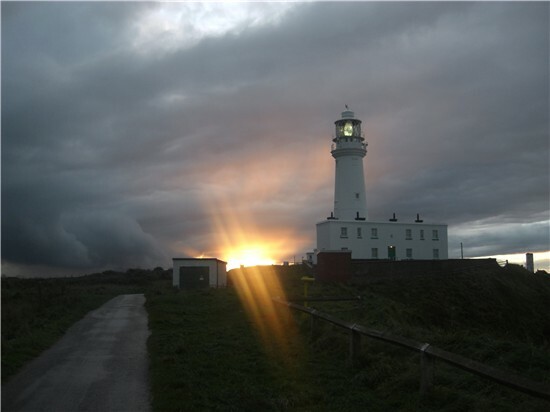 For further details, publications, reports and information on Flamborough Head Management Plan and Flamborough Head Draft Voluntary Codes of Conduct please click here. There are beautiful beaches, rocky coves and inlets, fishing and scenic boat trips and much more. There are places to stay, places to eat out and you will find details of local attractions and of the Village services by clicking onto the navigation links to the left. We would like to thank everyone who has contributed to the site or written articles for the site. Most of the pictures have been kindly given to the Parish Council by Mark Smales and Mrs Carol Traves. The image "F in Flamborough" is copyright to Steven Riding. If you have any questions, information you would like to provide or to correct any inaccuracies on the site, please contact the Clerk to the Council. Every attempt has been made to provide accurate and up to date information, however Flamborough Parish Council gives no warranty as to the accuracy of information and accepts no liability for loss, damage or inconvenience caused as a result of reliance on such information. Flamborough Parish Council is not responsible for the content of external websites that are linked to this site which are provided for information purposes only. You will need Adobe Acrobat Reader to view some of the files on this site. If you haven't got this, you can download it free here. 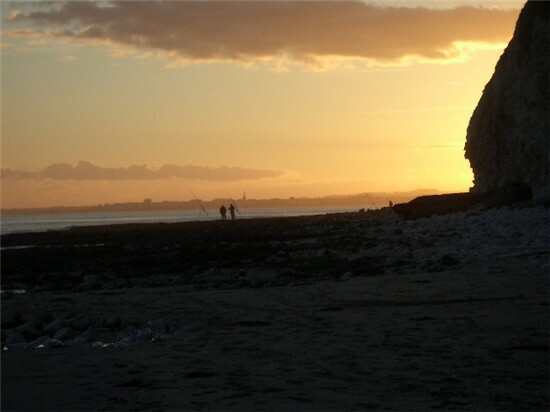 The information and images on this website are copyright to Flamborough Parish Council. Where other information and images have been used, acknowledgement has been given to the owner. In accordance with the provisions of the Localism Act 2011, at its meeting of 11th June 2012, Flamborough Parish Council adopted a new Code of Conduct which sets out the behaviour expected of Members of the Council. This Code of Conduct will apply to Members/Co-opted Members of Flamborough Parish Council when acting as such from 1st July 2012. The Code was revised on 3rd September 2012 to take into account the subsequent publication of Regulations by the Secretary of State for the Department for Communities and Local Government. The Parish Council wishes to engage more with local contractors for work within the Parish. The Council is looking for all types of Contractors to join an Approved List. Contractors on the list will be sent details of and asked to price for works. Contractors must have public liability insurance and be able to give details of previous work by way of references, CV, training certificates, photos of works undertaken or recommendations. Health and Safety Regulations must be adhered to.